Lynn is our Corporate Controller and is responsible for accounting and financial reporting matters, including SEC and other regulatory reporting. Lynn previously served as Horizon’s Financial Reporting Manager. Formerly, Lynn was a Senior Analyst in the financial reporting and consolidations group of the Building and Industrial Systems division of United Technologies Corporation and in the assurance practice of RSM LLP (formerly known as McGladrey LLP), a public accounting firm. Lynn earned a Bachelor of Science and a Master of Science degree in Accounting from the University of Connecticut. 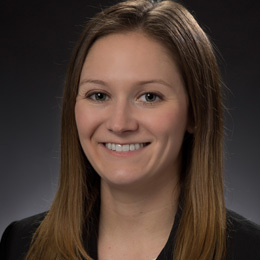 She is a Certified Public Accountant, chartered in the State of Connecticut.